Should You Skip Vinegar If Stung? Box jellyfish are responsible for deaths and injuries in Thailand, Malaysia, Philippines, Indonesia and throughout South-East Asia. Box jellyfish research, prevention and treatment in Thailand are improving though in 2019 proper precautions still need to be taken here and in less prepared nearby countries. Here is accurate, up-to-date info on box jellyfish safety, awareness, stings and all you need to know about the world's most venomous animal. Dedicated to Moa Bergman (02/03/97-03/04/08). To V, or not to V, that is the question. 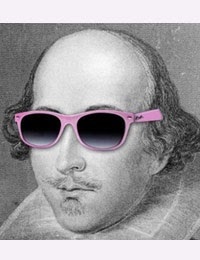 But while it's being debated let's hack the Old Bard again; better three hours too soon than a minute too late. 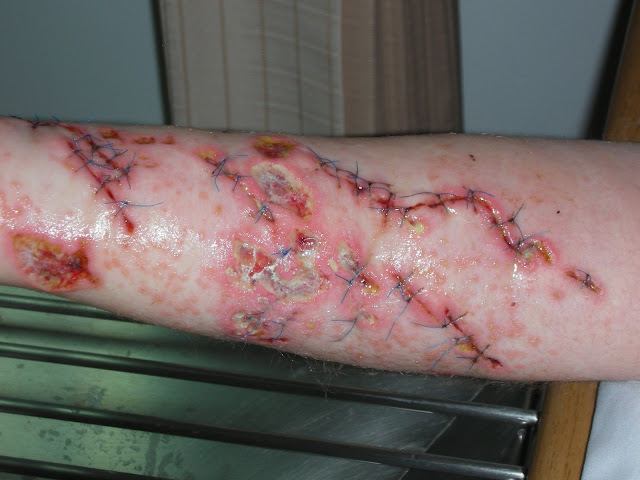 Long the officially recognised solution to stop box jellyfish stinging cells from firing their toxic venom, Vinegar was recently put under the microscope and it's effectiveness called into question. A recent study from a well known Australian marine biologist suggests that dousing a jellyfish sting with vinegar may in fact disable some cells but cause others to further discharge their venom. At the other end of the scientific spectrum, highly-regarded experts have questioned the validity of the study and they still strongly recommend vinegar to treat a sting. You, me and everybody else are stuck in the middle. Though, waiting for the answer may be catastrophic. 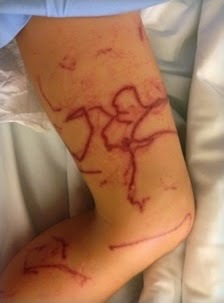 Vinegar (containing around 5% acetic acid) is recommended by the Australian Resuscitation Council and the American Heart Association and American Red Cross as the correct treatment for box jellyfish stings. These recommendations are based on the proven scientific fact that vinegar neutralises undischarged box jellyfish stinging cells (nematocysts). 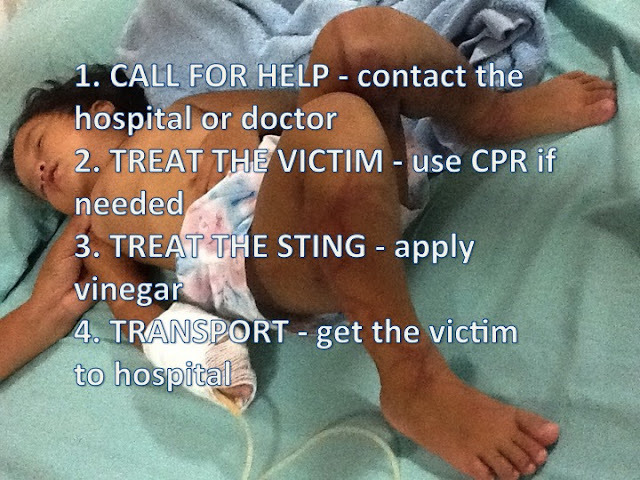 There is also plenty of experiential proof that vinegar is successful in stopping the stinging and saving lives. Most scientific and medical expertise in the field of box jellyfish research is of the opinion that the one and only approach remains vinegar. Jamie Seymour and his team at James Cook University think otherwise. They have published a study in the Diving and Hyperbaric Medicine magazine (Vol 44 No. 1 March 2014) claiming that vinegar may cause more harm than good. May. The study reports that the application of vinegar to Chironex fleckeri sp. box jellyfish cells on the skin neutralises undischarged nematocysts while it promotes the further discharge of already discharged nematocysts. Seymour's team concludes that the application of vinegar may have the potential to do harm - further investigation is required. May. The media jumped on the story that spread far afield via TV, radio, newspapers and the web. In an instant Vinegar was as potentially lethal as the sting of the box jellyfish. Of course, this may or may not be the case. Scientific and medical opinion may be divided. There will be some to-ing and fro-ing as the scientists continue to analyse the situation and build their cases for and against. This may take time. Though time won't concern the jellyfish who have been doing their thing for hundreds of millions of years. For us, the question still remains - if you are stung, what will you do? I am not bound to please thee with my answer. Though I am not aware of any box jellyfish fatalities obviously caused by the application of vinegar. Quite the contrary. I am aware of those that have survived after the application of the vinegar. The box jellyfish is a curious creature, a potential killer - nature hath framed strange fellows in her time. But if I were to cut the crap I'd say don't wait for the scientists as, come what may, the box jellyfish aren't - wear a lycra suit when in the water. Postscript: A Marine Biology laboratory in Israel publicly denounced vinegar as an aid recently stating that it makes the sting more painful and widespread - though it is interesting to note the conflict of interest in this 'research' as the scientist who made this claim is the Founder & Director of the company that makes anti-jellyfish lotion, and the laboratory is that of Nidarian Technologies that developed and manufactures this product. 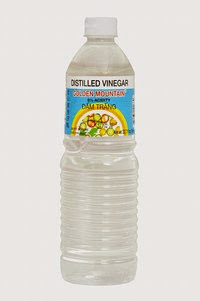 A product whose biggest competitor is a cheap bottle of household vinegar. 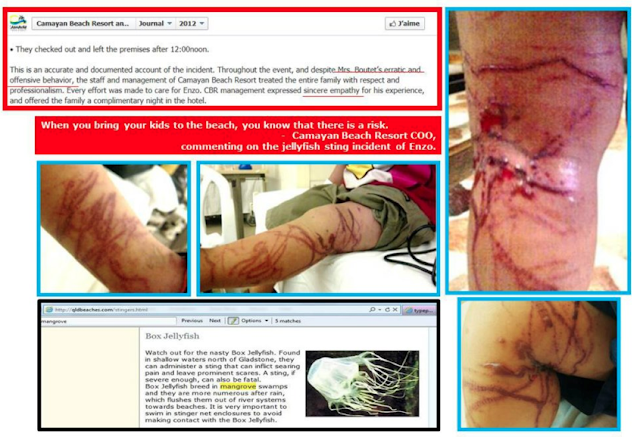 Jellyfish experts who are aware that 'Safe Sea' lotion is not proven to be effective in stopping the stings of dangerous box jellyfish - such as the Chironex sp. in the Indo-Pacific region - have refuted these claims by businesswoman and biologist, Dr Tamar Lotan. Jellyfish Lotion - Does it Work? This new study completely contradicts Seymour's study (n of only 3 and 60 % margin of error). Others have questioned the Seymour interpretation and of the low level of activity as biologically insignificant. All and all ,there is no strong indication that the "vinegar can kill" hyperbole, has any authentic basis. 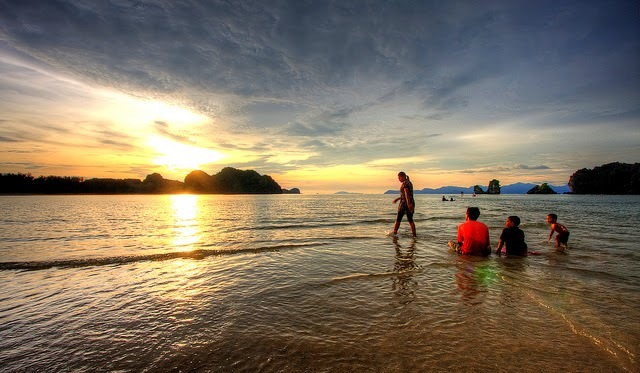 The Langkawi Lie - Malaysia Treats Tourists With Contempt! 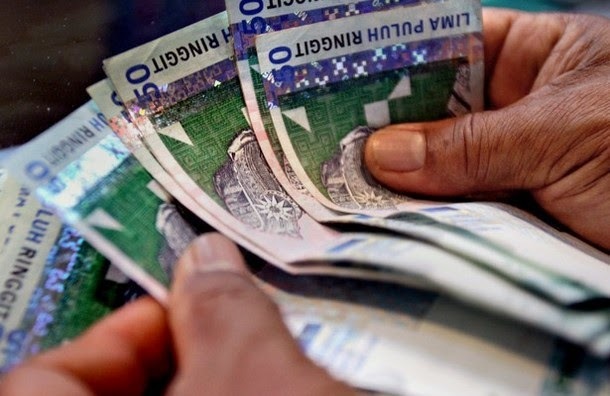 © Blog Boxie 2019. No content on this site may be copied without our written consent.